Going Shopping? Take advantage of this limted time 30 to 35% off your purchase at OldNavy or if you prefer online shopping use promo code SPREE at checkout. Some exclusions apply. This is an In-store AND Online deal. 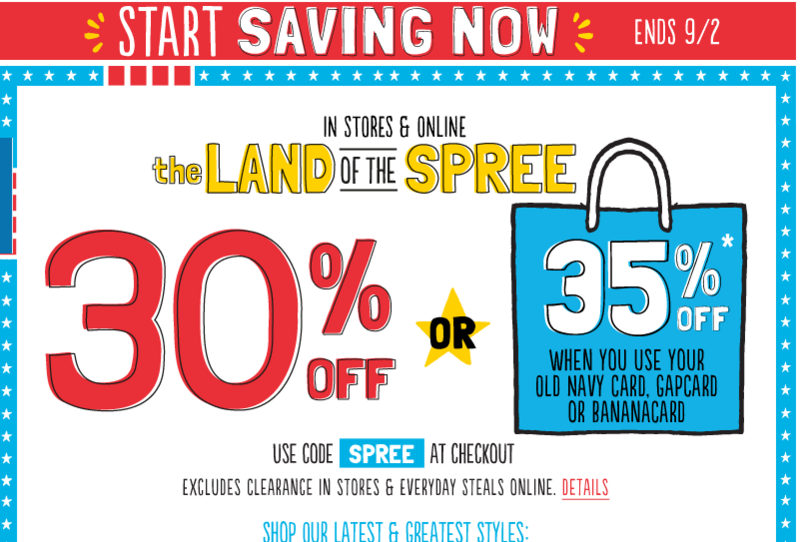 In order to get the full 35% off you’ll need to use your Old Navy Card, GapCard or BananaCard. Valid through 9/2.